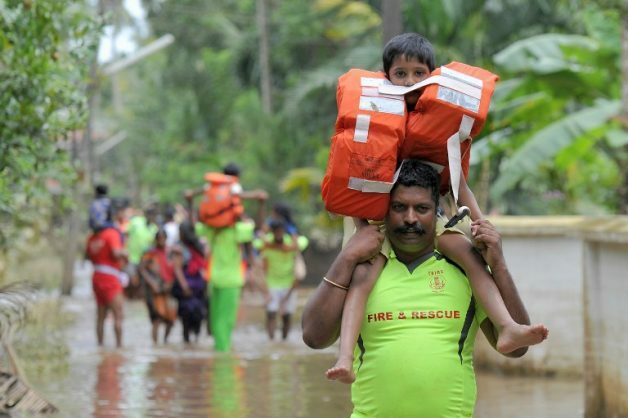 Devastating monsoon floods have killed more than 410 people and displaced a million in India’s southwestern state of Kerala. People wade through gradually receding flood waters in Paravur on the outskirts of Kochi in the south Indian state of Kerala, on August 20, 2018. Many roads and homes around Pillai’s house remained inaccessible. “Around 26 people moved into the first floor of our home” to take refuge from the floods, he said. “We received a distress call late yesterday to rescue a disabled child and will be going in today on boats to check if there are others who need assistance,” he said. 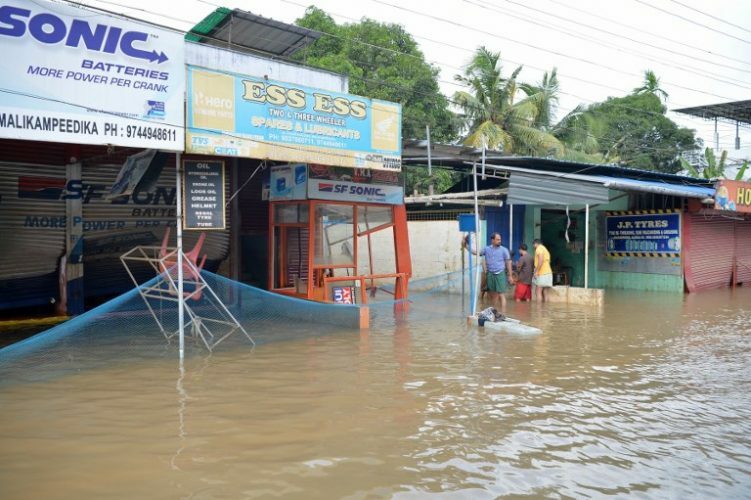 Rescuers waded into submerged villages in southern India on August 19 in a desperate search for survivors cut off for days by floods that have already killed more than 350 people. Picture: AFP PHOTO. 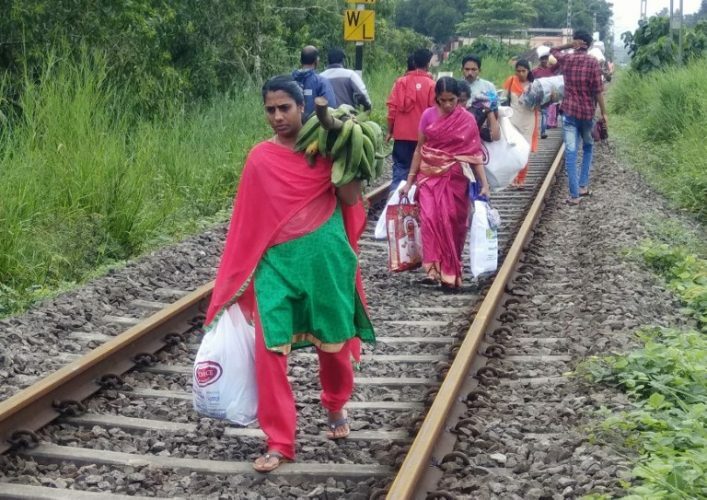 Tens of thousands of people in Chengannur and surrounding towns and villages are relying on community kitchens for meals, after water from hilly districts in Kerala’s north poured down into lowland regions. “People have lost all or most of their belongings in the last few days,” the officer said. Supreme Court judges have donated $360 each while the British-based Sikh group Khalsa Aid International has set up its own relief camp in Kochi, Kerala’s main city, to provide 3,000 meals a day.